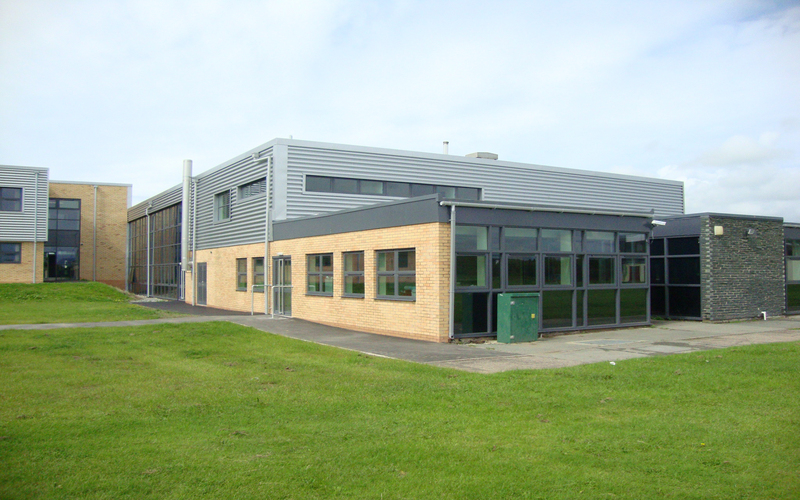 Ysgol Gyfun Glan y Môr was highlighted as a scheme for redevelopment as part of the School Buildings Improvement Grant by theWelsh Government. Ysgol Gyfun Glan y Môr has been at its current site since 1968. Approximately 523 pupils attend the school from the town of Pwllheli and the surrounding areas. The previous building has a characteristic design of public architecture in the sixties. Over time, it developed in a rectangular form with wings leading out from a central block which contains the hall. The main visual elements of the building were a flat roof and large panel windows. A ‘system building’ method was mostly used to construct it which was considered to be a cost-effective method for public buildings in the sixties. There have been further extensions over the years with their own varied features. Unfortunately, the condition of the building had greatly deteriorated and it was decided to undertake comprehensive re-modelling work within Phases 1, 2 and 3. 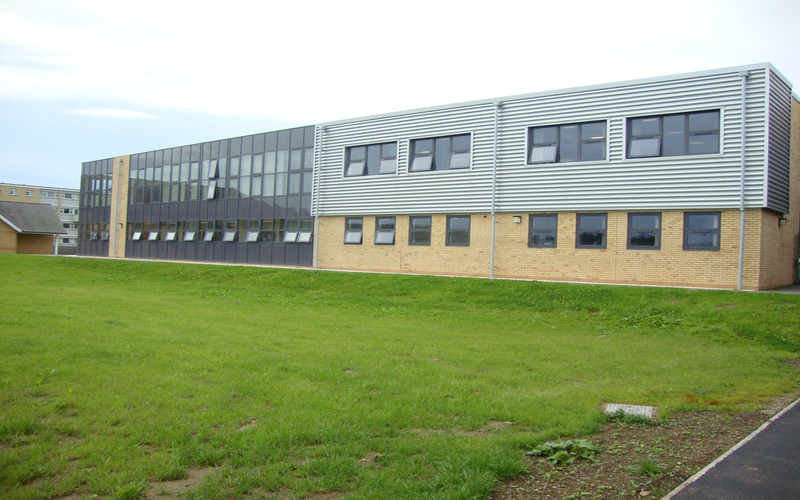 The£4.5 million project has included significant renovation work on many of the school’s buildings. Within Phase 1, the focus was on a two-storey pitched-roof building which dates back to the 1980s. The building is used for laboratories, classrooms and a library. The facilities were upgraded along with the addition of a new lift. In addition, new external windows and doors were installed, as well as a new boiler. A traditional method contract was used to renovate it in the form of Option B NEC contracts. In Phase 2, parts of the old schools were demolished and a new two storey extension was built to create a new reception area for the school, offices for the Head teacher and admin staff, laboratories, classrooms, information technology rooms, storerooms and toilets. In addition, a new lift was installed to make the school entirely accessible. In terms of conservation, photovoltaic solar panels were used to support the electrical system. Re-roofing work was also undertaken on parts of the flat roof and a new render was used for parts of the external walls. Option A NEC design and construction contract method was used. The work was completed with Phase 3. Approximately 2800m2 of surface area was renovated as part of this work. The work was focused on eradicating asbestos, fire prevention improvements, maintenance shortcomings, modern lift and new shortcomings, modern lift and new heating and sprinkler systems. In addition, the main hall, language, art, music and technology classrooms were renovated and redecorated. 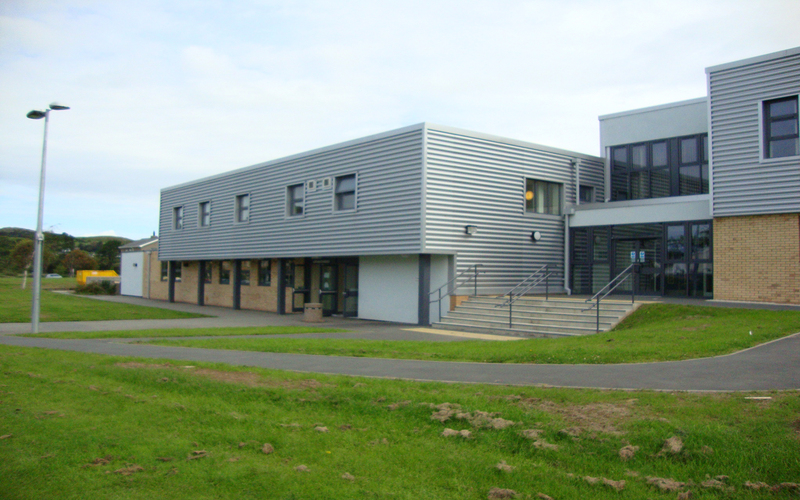 The external appearance of the school was transformed by installing new windows and doors, a brick and metal covering on the walls, and a new covering on parts of the flat roofs. A traditional JCT contract was used.